A green alligator with a gold belly. 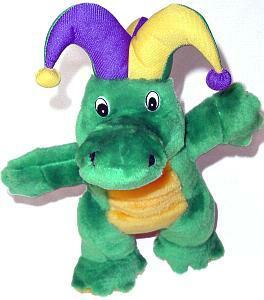 He is wearing a Mardi Gras jester hat, which is purple, green & gold. Approximately 12" tall, 14" from nose to tail, and 9" wide with hands spread out.